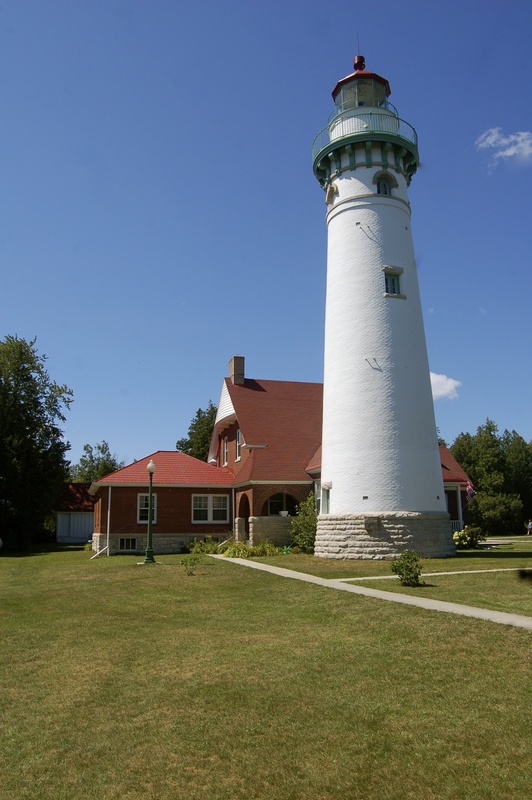 The Seul Choix Point Lighthouse in Michigan’s Upper Peninsula was at one time the only light guiding mariners through a 100-mile stretch of Lake Michigan shoreline that stretches from the Straits of Mackinac (marked by the St. Helena Lighthouse) and the Bays de Noc (marked by Poverty Island Lighthouse). 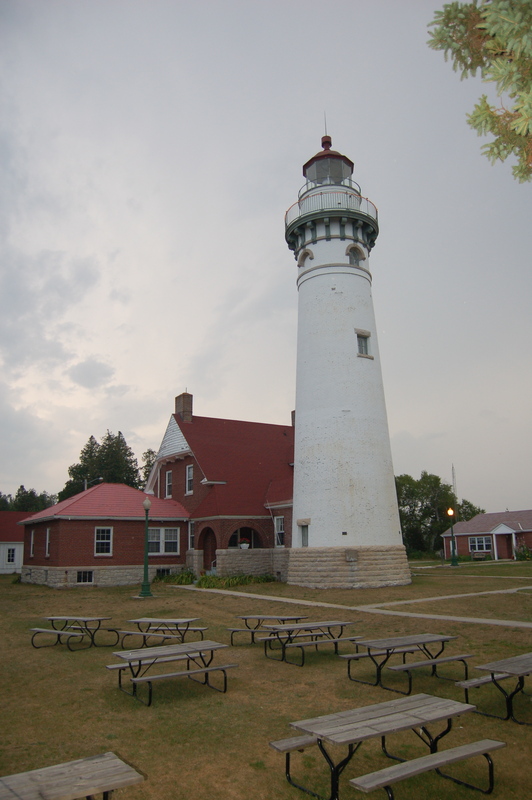 Pronounced “sish-wah,” Seul Choix translates to “only choice” which was an apt name for this harbor of refuge. 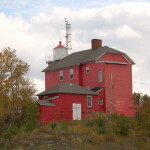 The lighthouse was constructed in the 1890s and was automated in the 1970s. From Memorial Day to October each year, the Gulliver Historical Society operates the site as a museum. 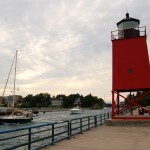 This area was once a busy area for shipping, and today ships still load at nearby Port Inland. Limestone is currently the main cargo for the large lake freighters that can be seen from the picnic area near the lighthouse. 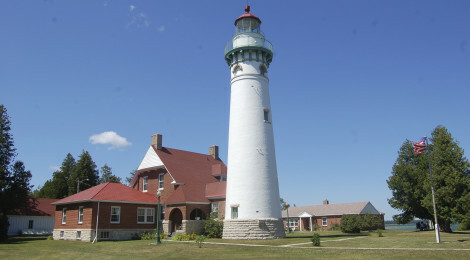 In addition to the lighthouse, other buildings that have survived and been restored include: two oil houses, a dock, an additional keeper’s house, a boathouse that has been converted to a garage and a workshop. 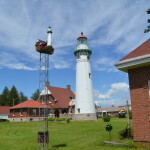 The lighthouse tower stands 77 feet tall and is painted white with green and red trim. The attached keeper’s dwelling is made of brick and features unique and decorative trim outside and inside. 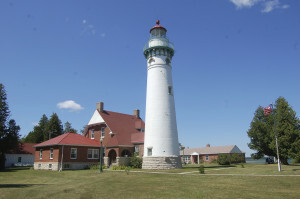 The dwelling is said to be haunted by the ghost of a former keeper, with visitors and workers reporting the sound of footsteps or items being moved. 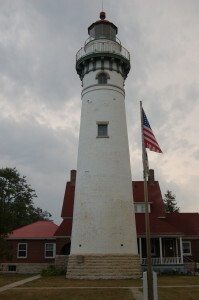 The interior of the dwelling has been decorated to look the way it would have in the early 1900s. 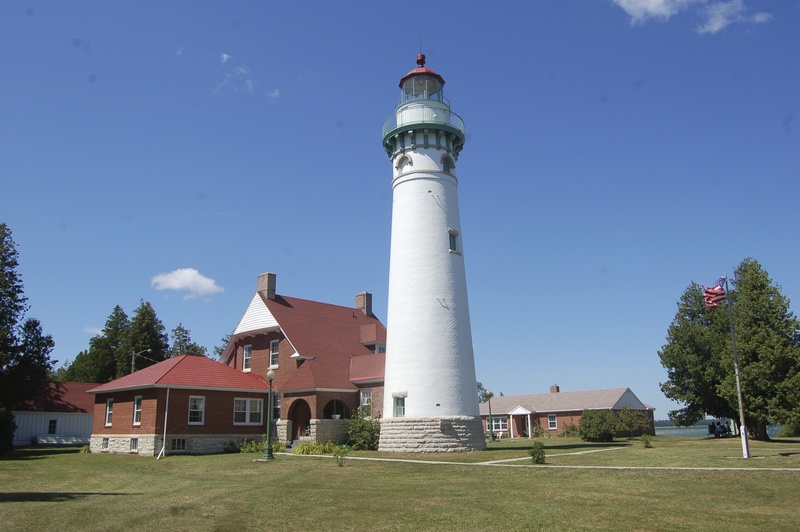 To get to the Seul Choix Point Lighthouse, beginning at US-2 in Gulliver where there are several large billboards – head south on County Road 432 for about four miles, then turn right on County Road 431 and follow it to its end (another four miles). 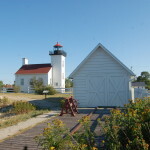 More information about the museum, including hours of operation and cost can be found at http://www.greatlakelighthouse.com/. The video below gives a better idea of what the entire park complex has to offer.